Are you all ready to close out 2016 with a bang? No? A blast? ….Maybe, a slight tap? Well, regardless, it’s ending and we can all start anew. Clean slate! One of the things I’m doing this December, besides eating, eating, eating, is thinking about what I’d like for 2017. I want to challenge myself with new experiences, events, and tasks. You know, broaden myself and get out of my comfort zone while still enjoying life. I’ll be implementing an amazing program I did in the beginning of this year. Do you DREAM or DO? We ALL DREAM… but few of us REALLY DO. You might be wondering, Todd Herman, who? Good question. Simply put, Todd is the BEST, no-BS, Peak Performance Coach you’ve NEVER heard of…but not for long! Why you’ve probably never heard of him? Another good question. You guys are SHARP! Todd was in the real world trenches, showing up day in and day out on the world’s most pressure-packed stages, coaching professional athletes, Olympians, Fortune 100 CEO’S, and high-level entrepreneurs on how to perform when the stakes are highest. He’s dug into the science…and even brought on third-party Harvard researchers to independently validate the claims of his systems. Todd Herman’s course has been instrumental in allowing MY dreams to be realized. He has shown me how to take an idea, a thought, a dream and build it, step-by-step. Launched the House Manual template in January, which is being downloaded and used by hosts all over the world. Created the Spring Clean Your Airbnb Challenge, where hundred of hosts joined me on the path to getting their listing all ready for the high season. Created the Facebook Group, “The Hosting Journey,” a non-Airbnb group where hosts from all over the world in different parts of their hosting journey can find support, encouragement, get tips, and share stories. Yes, you’re welcome to join our Facebook Group. One more time as an Airbnb Host Educator at the Airbnb Open. 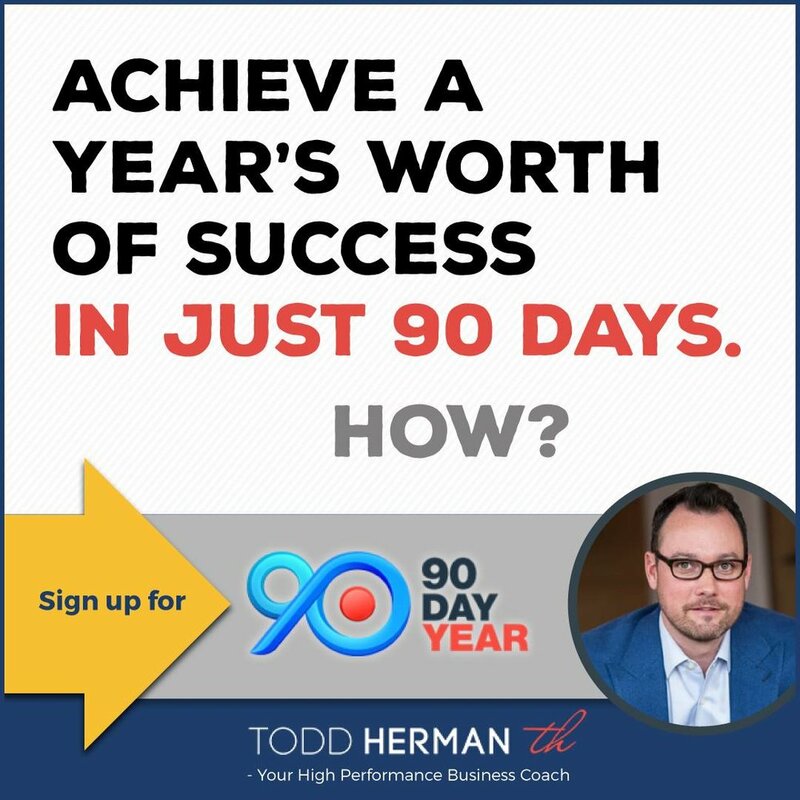 Todd Hermann for the holidays is offering the course for purchase, AGAIN! It’s a LIMITED TIME offer! Cart closes this THURSDAY, Dec. 15th! Plus, if you purchase the program by Thursday, you will get ME! Yep, it’s that good! We’ll schedule an hour together where you can ask me anything . Whether it’s about the Todd Herman course and how it changed my productivity and way of thinking or about your listing, your photos, the House Manual, etc. or we can just chat about business. Let’s make those DREAMS come true TOGETHER! We will schedule our call for after the busy holiday rush, but like always, you can email me with any of your questions. You know, I’ll answer them! Still on the fence? BONUS! How to get clear and know what you should be focusing on, RIGHT NOW. How to avoid burnout by following a creative criteria for choosing the right projects - this will lead to higher quality work and more overall enjoyment of what you do. You DREAM, You DO…in 2017! And you get me, too. Posted on December 13, 2016 by Evelyn Badia. Who is you best Airbnb guest? Who? A repeat guest, that’s who. The guest who’s experienced the amazing hospitality you provide. Posted on February 22, 2016 by Evelyn Badia. A recap will come later this week but here is the video for your enjoyment. Posted on September 23, 2015 by Evelyn Badia. I feel like Mercury in retrograde was lingering for the entire month of June. Subscribers had issues downloading the room-to-room checklist and in yesterday's webinar people couldn't hear or see us. No matter what I tried it wasn't happening. Lou, Maria Louisa and myself were there. Mark had an internet issue in Mexico and couldn't join is. You see Mercury doing its thing. Thankfully the video was recorded and you could view it below. I'll probably re-schedule another session with the expert far away from any Mercury shenanigans. Posted on June 25, 2015 by Evelyn Badia.